Whether you’re starting with a blank canvas, need fresh angles on tired decor, or plan a different use for an existing room, the basics of interior design remain the same. 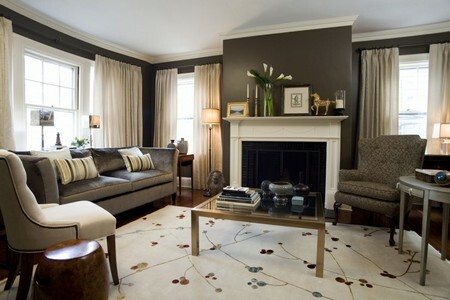 Think practically as you plan because although white is a good, bright, neutral colour, it can soil easily. Accurately record the dimensions and any limiting factors in your room, for example, furniture or furnishings that you will keep. While you can pay professionals to take over at any stage of the process, you’ll cut your budget and achieve a room that exactly matches your vision if you keep the project to yourself. Be clear about what you want the room to achieve. Include the mood you hope to project, as well as practicalities, such as ‘somewhere to watch TV, or ‘space for two guests to sleep’. Do some practical research. This is the ‘fun’ part of the project: department stores, catalogues and magazines are good sources for inspiration. Plan how to turn your design into reality. Use a tape measure to find the dimensions of the room. Plot this on graph paper, making one square foot in your room at least four squares on the graph paper. Add breaks for doors (include which way they open), windows, and air conditioning and heating units. Measure at the base any furniture that you want to stay in the new room. Make paper cut-outs to scale, and put weak adhesive on the back of them, so you can move them around. Take contrasting colour paper and cut to scale things you’d like to go in the room, such as a dining table in the kitchen. For bathrooms and kitchens, you may want a professional overview. Many companies offer free, no-obligation quotes. These can save time by ident­ifying flaws you hadn’t thought of (for example, a kitchen appliance that has to have an outside wall, or plumbing which will dictate shower types). A room needs a theme to pull everything together. You may have set ideas – a style that you like, such as New England Shaker, or an object you already have – perhaps a special vase. It’s also fine to incorporate several styles into a room. But with the whole world of design out there, you will use your time more effectively if you establish preferences, even if you later change your mind. Professional interior designers make flat boards tor their clients with fabric swatches, strips of paint, and carpet samples of everything they think might go into a room they are decorating. It’s a good way to see how colours and textures work together. It is quite easy to do the same at home: just cut out and stick onto a piece of board or cardboard everything that you would like to use. On the back, or in a separate folder, be sure to write down the manufacturer and price details. While paper ‘tear outs’ are useful, it is always better to get a real sample. Most shops are happy to help with this.